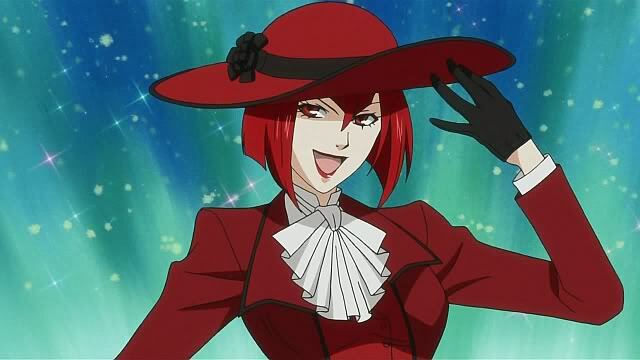 The older of two daughters, Angelina Durless, or Madame Red, never liked her red hair – until Vincent Phantomhive, the father of Ciel, commented that he thought it made her lovely. From then on, Angelina came to love her hair, so much that she would dress exclusively in red. She also fell in love with Vincent, but alas Vincent married Angelina's sister Rachel. At first unhappy with the wedding, Angelina soon found herself in love with Baron Barnett, and eventually married him. Afterward, she took-up medical studies and became a doctor, a rarity for a woman in Victorian-era England. She even looked upon her nephew Ciel as her son in extension years later. The two's lives were full and rewarding, and soon Angelina found herself expecting her first child. However, the couple found themselves in a horrific carriage accident, which not only killed Baron Barnett, but caused a miscarriage for Angelina, her injuries so severe that her womb had to be removed. Sometime after Angelina's recovery, she returned to her practice – which included performing abortions on the prostitutes that work in London's Whitechapel district. The agony of losing both her child and the ability to have more, as well as her disgust with women who thought of children as simply a bother proved too much for Angelina... so one night, she murdered one such prostitute – which brought attention to Grell Sutcliff, a grim reaper who later joined her in what would be known as 'the Jack the Ripper murders'. 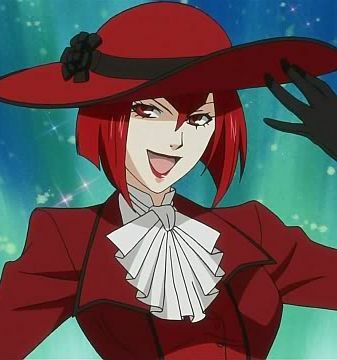 But when the killings were brought to the attention of Ciel and Sebastian, she had the opportunity to kill her nephew when the truth came out – but couldn't because she saw the image of her dead sister in Ciel's face. Grell then killed Angelina, using his illegally-modified scythe – a chain saw – to gouge her heart out. Not long after Grell was disciplined by his superiors for his misdeeds, Angelina was given a proper funeral, the truth about her killings quietly covered-up.